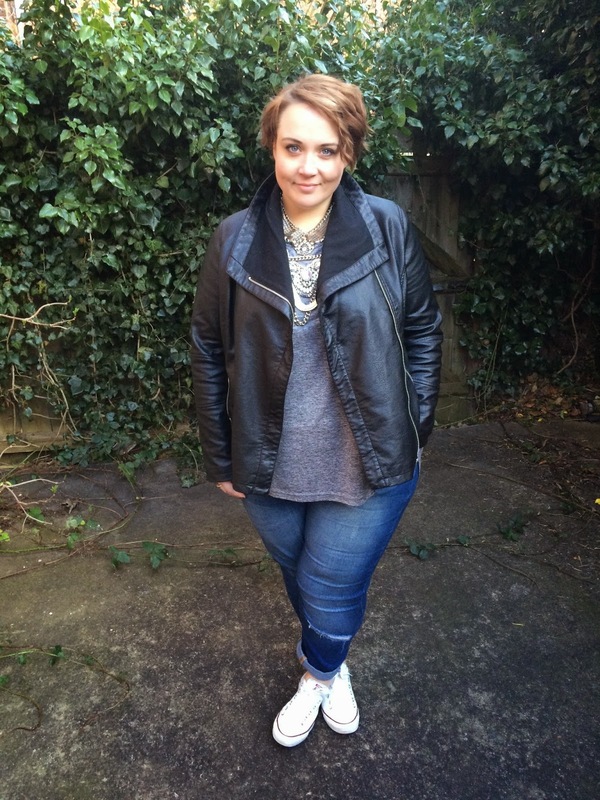 Style: Days Four and Five - Capsule Wardrobe Challenge. Hello! We're on to day four of the challenge now, you can read what it's all about here if you missed it. Yesterday was a uni day so wore my jeans for the first time on the challenge. I think if I ever fell out of love with fashion and just wanted a daily uniform, I think this would probably be it. 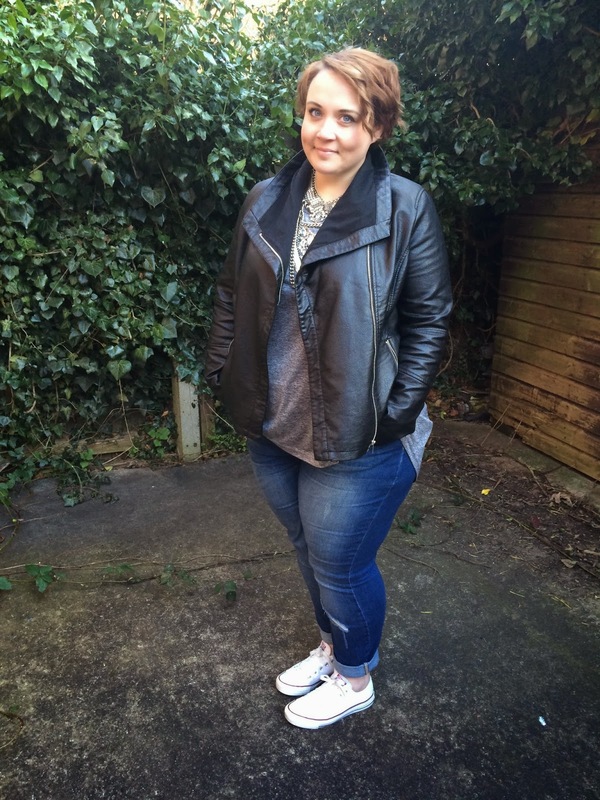 I am at my most comfortable in my jeans and cons! I'm on a uni deadline so I had to wear something comfortable as I'll be sat with a laptop on my knee all day. I went for the same t-shirt from yesterday. Don't worry it'll get washed tonight! Haha! 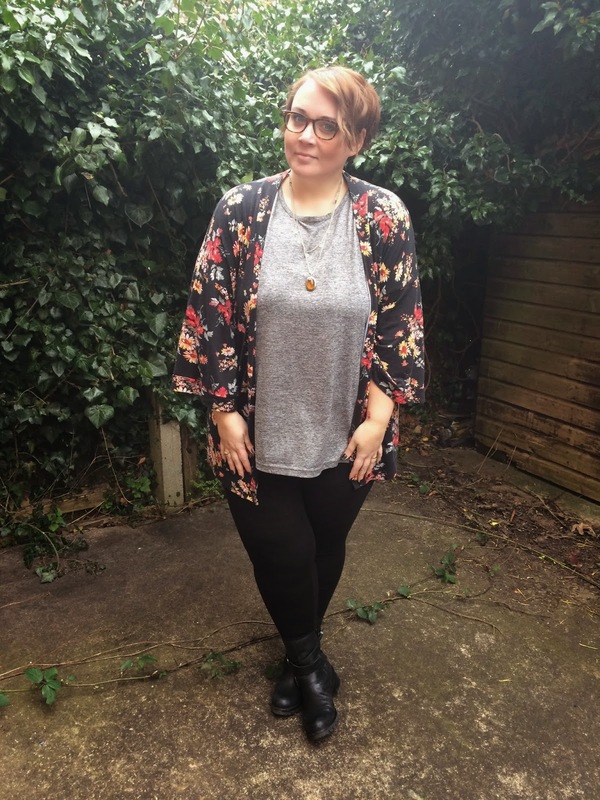 The Kimono I wore on Monday and some leggings. I've got a couple more reviews coming this week which I'll intersperse between the daily posts, so hopefully there'll be lots of variety! I'll probably do weekly round ups of the challenge outfits and then of course at the end of the month we can look back at the all and see how much variety I managed to get in there! I think that's the bit I'm most looking forward too!